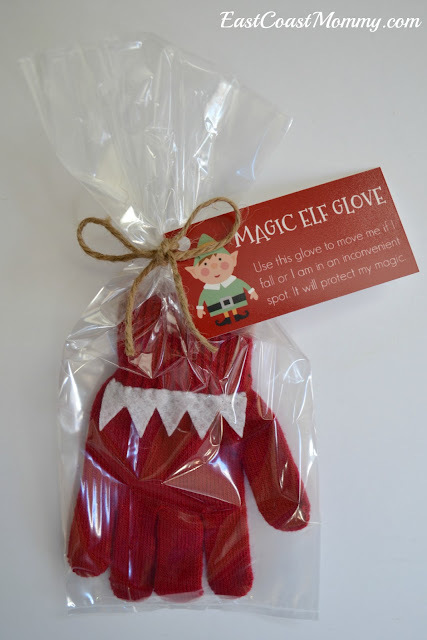 This magic glove is made from an inexpensive stretchy red glove and a banner of white felt. 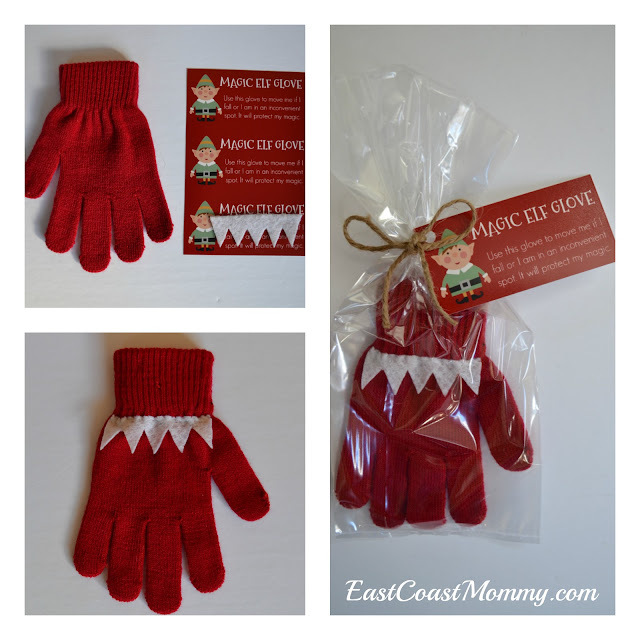 To make one: cut a banner from white felt, stitch it to the top of a glove and package it with the fun tags I designed. You can add a little glitter to the inside of the bag too... for a little added magic. 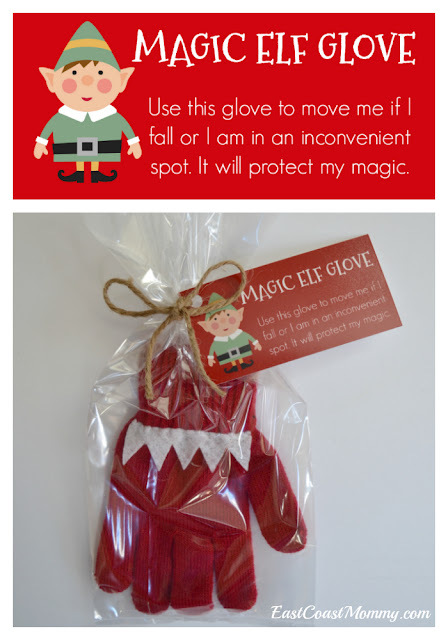 Seriously... isn't this a cute Elf on the Shelf accessory? Elf on the Shelf is one of our family's favourite traditions. Do you have an Elf on the Shelf? 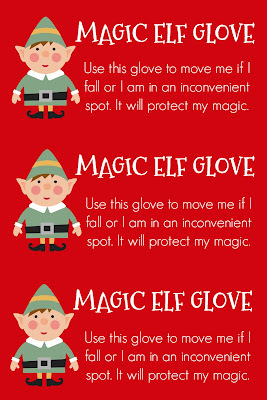 Do you have a child that would like this Magic Elf Glove? 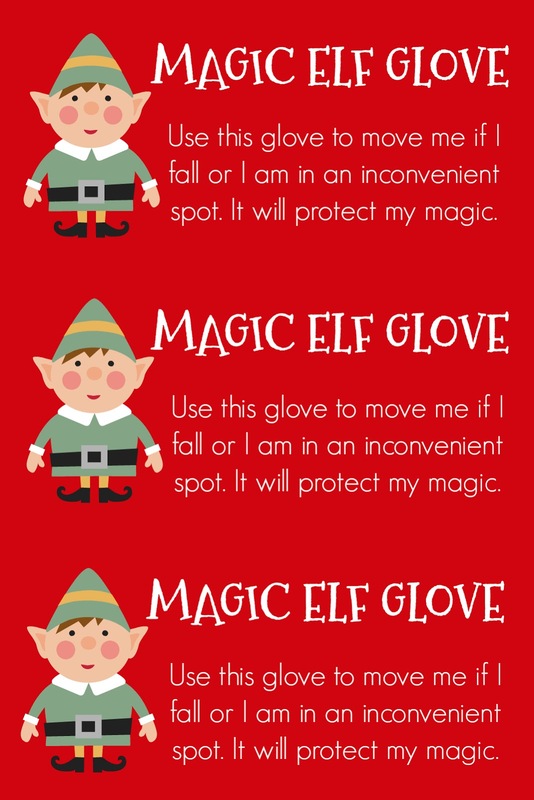 I hope you enjoy creating this simple little piece of Christmas magic. 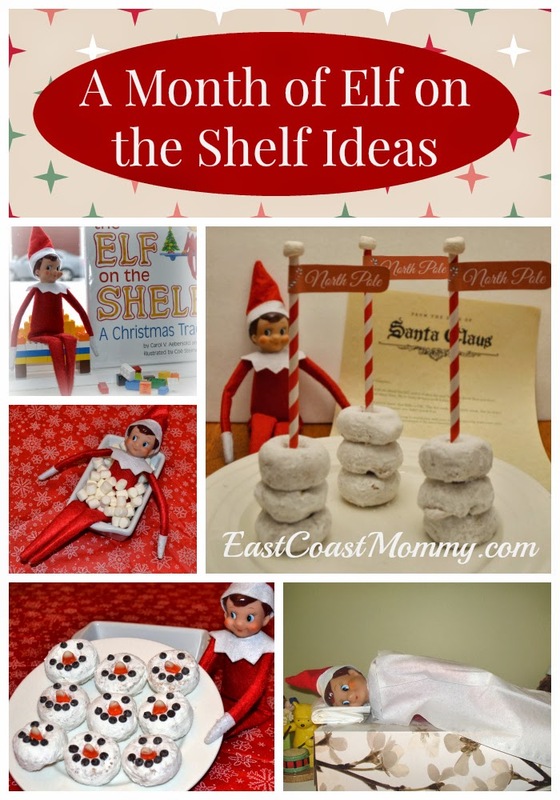 PS - You can find more easy and fun Elf on the Shelf Ideas here.